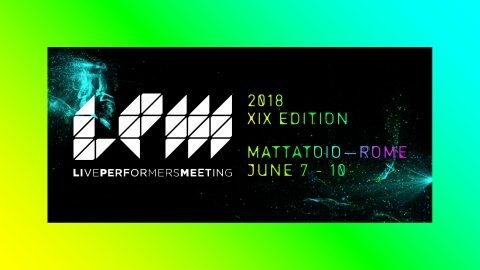 The nineteenth edition of LPM Live Performers Meeting is from 7th to 10th June in the spaces of Mattatoio in Rome. LPM 2018 Rome offers the unique opportunity to experience 4 days of audiovisual performances, VJing, workshops, panel discussion, product showcases presented by more then 400 artists, professionals and video passionate from 40 countries presenting over 150 projects who will offer an unrepeatable and unique event. To attend the meeting, participants must register by following the procedures in the “Call to participate” section of the website, by choosing from several subscription options. In order to give the opportunity to host as much performances as we can receive, the maximum duration of each show is 30 minutes. Registration is open until April 18, 2018. LPM is produced and organised by Flyer Communication (flyer.it), Linux Club (linux-club.org) and FLxER.net (flxer.net), thanks to the cooperation of important international partners.